While we were driving through Colorado on our road trip out west last September, I was craving a sour peach beer. 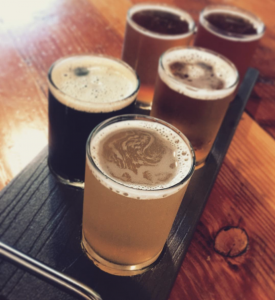 We stopped at a brewery in Palisade, Colorado, one night, and I was sure that they would have amazing Palisade Peach beer, and we’d sip it outside and watch the sun sink behind the Rockies. They did not have any peach beers, and their outside patio was packed, so we sat inside and mostly missed the sunset. Fast forward a couple of months. The fella and I were at CRAFT in Alameda, a great local bottle shop, and I still wanted a really great peach beer, preferably a sour one. 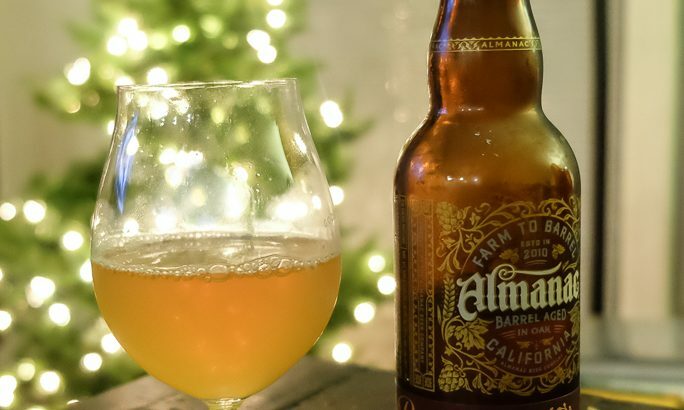 The folks at CRAFT handed me this bottle of Bourbon Barrel Pêche from Almanac. When we opened it (right after putting up our Christmas tree), I’m pretty sure that angels sang. This BBA peach sour is legit. I don’t get much sweet bourbon flavour from it, but the oak barrels amp up the sourness. It’s so good. It’s like peaches got together to sing a Hallelujah chorus while they fermented. At least, that’s what I’m picturing. And now you are too. If anyone else is reading this. The fella gave it 4.75 stars. I gave it 4.5 stars, but now I’m wondering what was wrong with me, because I’m thinking about this beer and actually salivating. Surely that’s worth 4.75 stars, right? AND! 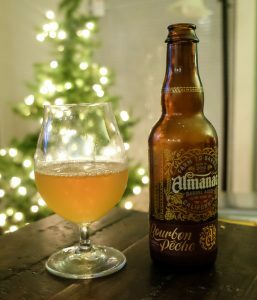 Almanac opened another location TODAY, and it’s in the East Bay, in Alameda, which is where I work. So look out for lots more Almanac posts in the future. We can’t wait to visit the new spot, and would have gone over tonight, but it closes at 8, it’s now 7:25, and dinner is still in the oven. So we’re not going to make it. But we’ll probably go tomorrow and try absolutely everything, and it will be great.